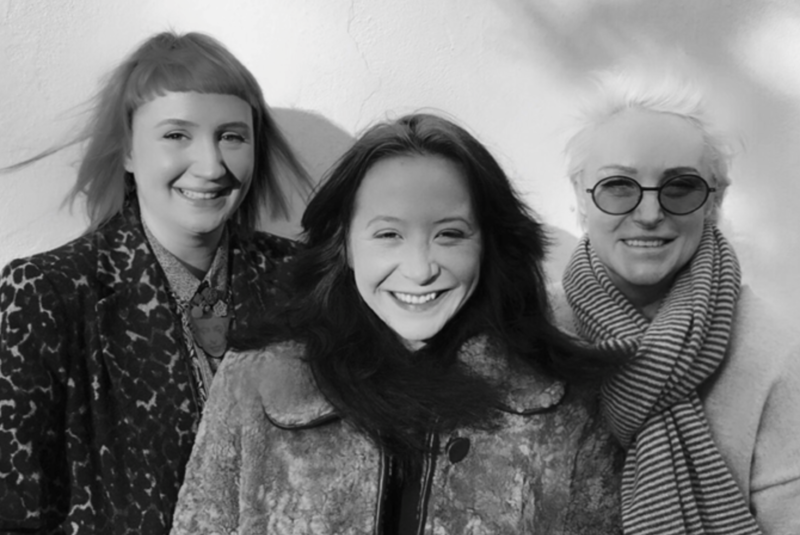 Celia Hodson and her daughters (pictured left) have just launched Hey Girls, a “buy one give one” social enterprise to tackle period poverty. Doing business for good, they believe, means buying from other social enterprises and ethical suppliers. Celia describes their journey towards fulfilling this vision. Almost every product has a supply chain. Take, for example, a Barbie doll. From the oil refinery that produces the raw materials for the five types of plastic that make up a Barbie, to the lorry that delivers her to a store, a whole range of organisations are involved. For large companies, global supply chains can be difficult to keep track of and, as a consumer, it’s hard to know what has gone into making the final product that you purchase. Here at Hey Girls, we are conscious that everything we buy comes from somewhere and was produced by someone. So we are keen to make sure that our whole supply chain is as ethically sourced and ethically produced as possible. For us, this means that in the run-up to our launch in January 2018, we've had a lot of conversations – taking time to build trust and checking that our potential partners uphold the same values. Having held workshops and feedback sessions with groups of girls we decided what each component of our Hey Girls sanitary pads was going to be made from. We researched how pads are manufactured in the UK and the rest of the world, then began to consider who was going to be able to deliver the level of service we required. After speaking to a significant number of potential manufacturers, and crossing quite a few off our list as they were only willing to provide standard off-the-shelf products, we asked lots of questions about their corporate values. We made it clear to them that we were values-based social enterprise, wanted to know how they operated as a business, and that we were new to manufacturing and importing so they were going have to help us every step of the way. Asking such questions wiped quite a few more potentials off the list for a number of reasons – as you can imagine. When we finally made our decision – a manufacturer in China – the last stage involved sending a Mandarin-speaking friend of a friend to visit the company’s plant in China with a webcam to help us agree our first order. This was larger than I had expected in quantity (330,000 pads) but as they were creating a product to our specification, I guess that was understandable. They made prototypes which we tested and refined, then we took a huge breath and paid for our container of product and looked forward to the day it would arrive into the Port of Grangemouth. When we began to think about the look and feel of our brand we did the obvious thing. We asked lots of girls and young women what kind of a brand vibe would speak to them. And so it was a natural progression when the came time to put images of girls and young women on our packaging, marketing and educational materials, it would be the very same girls that we spoke to should also become our models. On a day-to-day operations level, doing business for good means consciously choosing to buy from social enterprises in the UK wherever we can. It’s a moveable feast and our supply chain is not quite there yet, but we are doggedly working towards perfection. Building a social enterprise supply chain means we now work with some really amazing organisations. Haven Products, which handles our B2B distribution from Larbert in Stirlingshire, and packaging our B2C orders from their centre in Inverness is a super (and very large) social enterprise. They provide supported employment and development opportunities to many people who are considered to be disadvantaged in some way. By contracting Haven Products to manage all our distribution, rather than a private sector company, Hey Girls contributes to their ability to create social outcomes for people furthest from the job market. Holy Cow, a values-driven all-women team based in Suffolk, designed our packaging. BOLD, a social enterprise based in Scotland, designed our website. Again, through using ethically focused agencies, Hey Girls has ensured that the money that we spend contributes to social change, rather than lining the pockets of shareholders. We also have a small army of young women who are at the stage in life where they want to give back in some way. They were either recruited via the Media Trust or they have contacted us directly to say “how can I help?”, so we are fortunate enough to have a bank of talent that we would not be able to afford if we had to pay for their amazing expertise. We believe that all social enterprises should ask for help from the wider business community and do more to buy products and services from each other. Spending money within the sector helps to strengthen and grow the sector and bringing external expertise in at different stages of any organisation’s growth can offer a commercial and competitive edge. It also means that together we can create a wider impact, reaching the lives of beneficiaries who are not directly our own, and limiting our environmental burden. 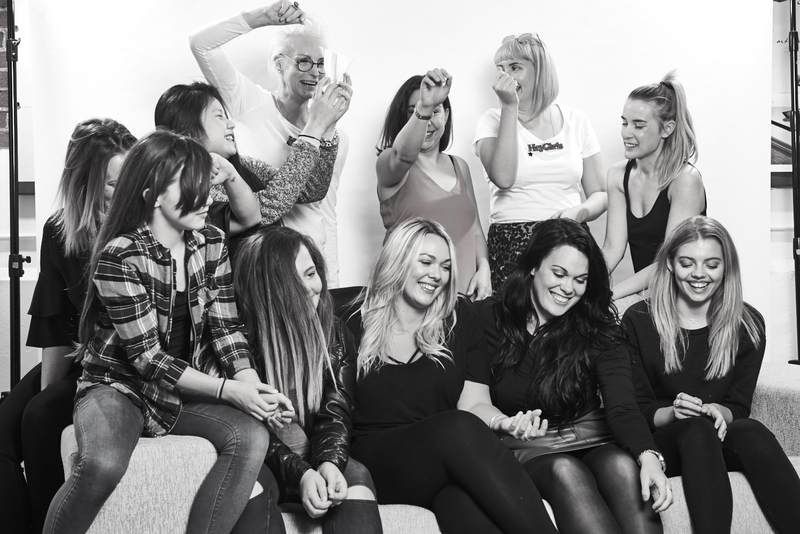 At Hey Girls, we are at the very start of our journey as a social enterprise. Moving forward, as we expand our product range further to include tampons and cups, we hope to be able to do more to ensure that our products are ethically sourced and produced and that we continue to seek out partners and assistance from not the usual places. If you’re a social enterprise that wants to work with us – why not get in touch? Johnson and Johnson have hosted an evening to see if they can convince other pharma giants to procure from social enterprises. Will it work? Lee Mannion went along to find out.